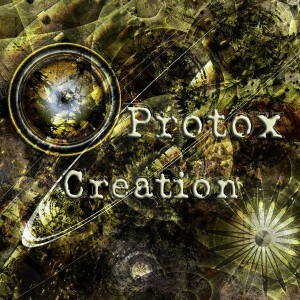 Protox is a young newcomer from Bielefeld (Germany) who started producing in 2011 and is now ready to present his first release, Creation. His style is a mix of deep progressive sounds and technoid vibes, inspired by associative thinking. The main focus lies on varying and bombing beats covered in a murky atmosphere, completing the playful pattern with an inventive usage of effects and breathtaking breaks. The unique combination of different styles unleashes immense energies on the dance floor. Mastered by Output23 Mastering with artwork from Stefano Popovski AKA Raysheaf . MP3 Download | FLAC Download | WAV Download · Download count: 7,558. Cool EP, minimalistic concept. The music has a definite metal-feel to it in its rhythms. I like that a lot. yep sounds fresh as !!! i am sure we will hear more of u in near future !! Man! good to finally here some proper pumping prog. Please brother keep it up, we need more artists like you!